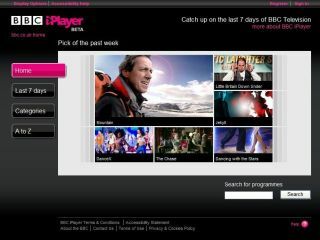 The BBC and BT are at loggerheads over the iPlayer once more, with the phone giant asking for the BBC to fund the cost of running the media player. BT spoke out for the first time about the costs involved in maintaining internet traffic to services like iPlayer and YouTube, saying they "can't expect to continue to get a free ride". The comment was made by John Petter, Managing Director of BT Retail's Consumer Business and was sent to the BBC's Technology Correspondent Rory Cellan-Jones. It was echoed in an interview that Petter had with the Financial Times, where he said: "We can't give the content providers a completely free ride and continue to give customers the [service] they want at the price they expect." The BBC believes that this could be bad news for successful content-providing websites everywhere, explaining on its technology blog that: "Asking the BBC to pay BT for content that they host would set a dangerous precedent for the internet as a whole."